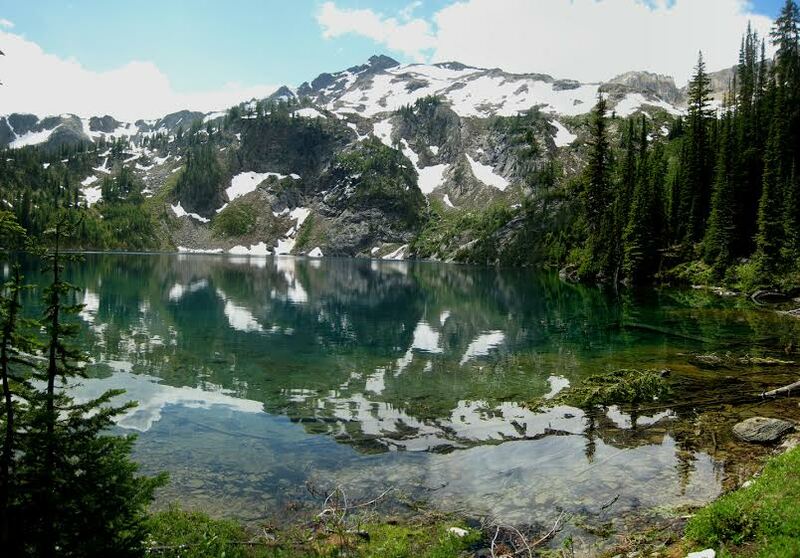 Alpine meadows, azure lake, impressive mountain views, McLean Lake has it all. 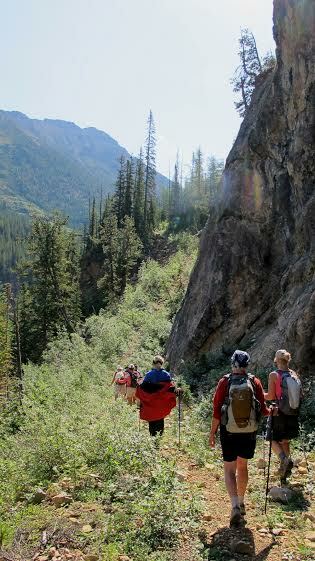 The McLean and Septet Trail heads begin at the same place – on the north side of Frances Creek. Follow the trail through the forest, skirting recent cutblocks for almost 2 km to where the trail forks. The left fork keeps you on the McLean trail. After crossing a bridge over Frances Creek, the trail joins an old road. There’s another creek crossing about half a kilometre up the trail. This bridge consists of a couple of logs and can be a little tricky during high water. Follow this old road for another 2 km as it switchbacks through the forest high above McLean Creek, crossing rubble fields and what appear to be old mining sites. A small offshoot trail at between 4.5 and 5 km takes you a short distance to a viewpoint for a waterfall. Back on the trail, you re-enter the forest and continue climbing. Alpine meadows and flatter terrain reward your efforts, as will glacier lilies, western anemone and an array of alpine flowers, if your timing is right. From here, the trail flattens out into a meadow. Just below you lies McLean Lake, nestled in a treed basin surrounded by mountains. High clearance vehicle recommended/watch for logging trucks. Set your odometer to zero at the traffic lights on Highway 93/95 at the Invermere junction. Go west into Invermere. At 2.6 km turn right onto Panorama Drive. At 4.5 km just after the Toby Creek Bridge, turn right toward Wilmer. At 7 km turn right onto Main St and drive through Wilmer onto Westside Road. At 17.8 km continue straight through 4 way intersection to stay on Westside Road. At 32 km turn left at the junction, cross the bridge, then turn right at the T-intersection. At 35 km the road goes through a gate. At 37.4 km stay right(left goes into a ranch.) At 43.4 km turn left onto Lead Queen Road and at 45 km turn left again onto Frances Creek Road. At 48 km turn left at fork (road marking 46km), at 58 km turn right at fork, at 58.5 km turn right again at fork, at 59 km turn left at fork, at 60 Km turn left at the T-intersection, and finally at 60.5 km, congratulations you have arrived at the trailhead! The lower half of the hike is pretty easy and on double track but the lake itself and the surrounding peaks make a very worthwhile objective.